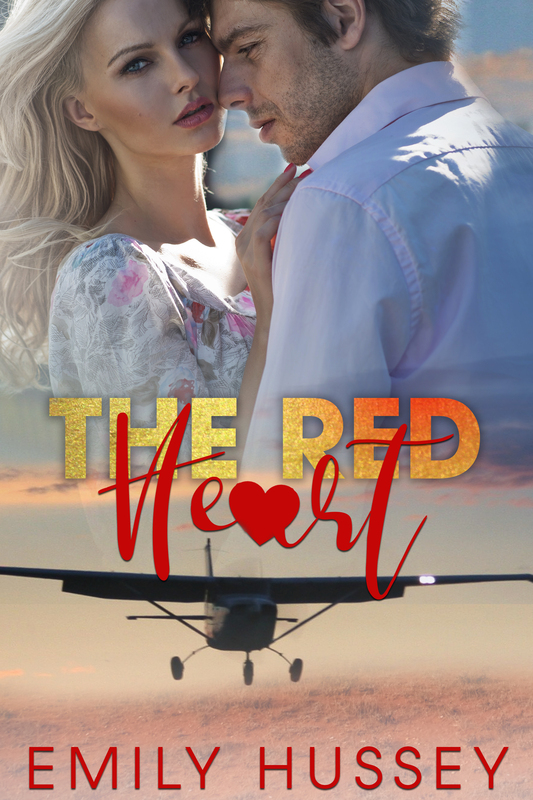 The Red Heart, by Emily Hussey. Published by Winsome Books, 2018. Availability: eBook available from https://amzn.to/2ktRcDk Amazon . Print books in Australia are available $20 posted. 1988. Kathy Sullivan is excited about taking up her new job as a pilot in Alice Springs. She knew it could be hot in the Red Centre, but had no idea how much heat she would generate. In the sky, she’s in full command, but back on the ground, she is in danger of losing her cool. She wants to be respected as a pilot, but the enigmatic stranger from Mulga Downs makes it clear she’s not worthy of the role. Alex Woodleigh derides the young city woman who he considers to be out of her depth in the alien and harsh bush environment. He’s trying to get over the death of his close friend, but the new pilot in town is making this a challenge. Kathy vows to keep out of his way and hopes, after the conflict in her early encounters, she won’t have to see him again. Except she does – and he isn’t who she thought he was. He has a knack of turning up wherever she is whether in town or out bush and each encounter leaves her feeling scorched. Was that any excuse for her to leave his aircraft a pile of crumpled metal? She wasn’t expecting his reaction. Our dinner the other night prompted me to buy The Red Heart. I am really enjoying it (except for the early description of Kathy as being ‘all woman’ under her uniform or something). The pilot and flying details are really interesting and give an unexpected dimension to the character and story, and the setting must be a writer’s dream. I have only been to Alice Springs one (on a school trip) but I can still remember Anzac Hill Lookout and Kathy’s view took me right back there. Looking forward to the rest – don’t tell me. ..You have at least one reader for your second book. I was drawn to this book initially because I am also a pilot and have been to Alice Springs, though just passing through. I loved the descriptions of the country in that area and the technical aspects of flying ran very true for the time in which the novel was set, which must have been in the eighties. It was a slow start but I was soon drawn into the story and the characterisation of the people who featured. Alex was very difficult to like initially with his patronising attitude but he gradually became more personable. Perhaps there could be a follow up on Alex and Kathy’s life on the station? Sarah, Chris and Mark were great supporting characters. It finished up being a good read for anyone who likes an authentic story of the Australian outback. Loved it. I am a romantic. Even been to Wiggleys waterhole and other Alice locations. Waiting for next one. Emily Hussey’s new book is a good read – entertaining and well-written. The characters are sufficiently multi-dimensional to seem like real people that I could be interested in and care about. The Australian surroundings are comfortably identifiable and are a good backdrop to the story. My reading tastes are diverse and I get through quite a number of books. It’s frustrating to discover a book or an author I enjoy only to find that there isn’t another follow-on story. I’m excited to know that there are at least two more of Emily’s books to follow and I’m looking forward to finding out what happens next. I enjoyed The Red Heart very much. It is a story that is an easy read, fast-paced and descriptive of the Australia life and manner on the land. Any woman could relate to your Kathy and I am sure we all have had an Alex in our lives so can visualise all aspects of these two main characters. I found that I was keen to ‘see what happened next’ as it was not an automatic ‘they will do this now’ but it sneaks up on you. Loved the build-up between Kathy and Melissa and what followed – again many people could relate to this situation. Really enjoyed how it ended – looking forward to more! Carmen W-G.